On today’s tech podcast, I explore the startup story behind the simple, powerful, event software that has sold over €300M worth of tickets online by thousands of organizers around the world. 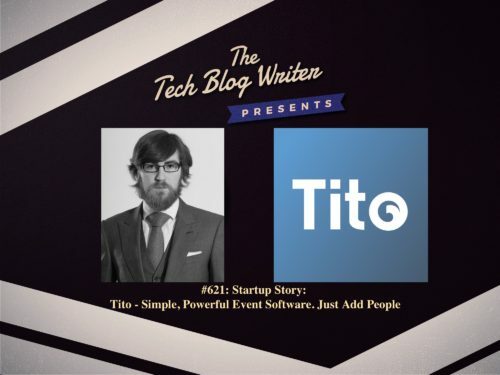 Although you’ve likely never heard of this small 10-person, Dublin (Ireland) startup, after hearing that Tito is on track to process more than half a billion in event ticket sales by 2019, I invited co-founder Paul Campbell onto the show to find out more. What do tech-savvy conferences around the globe including Web Summit, JSConf, Twilio, Shopify and Strange Loop have in common? The all leverage the clever event management software from Tito.io.The company has also caught the eye and the angel funding of Amazon CTO, Werner Vogels and Intercom Co-Founder, Des Traynor. What is the secret to the company’s success to date? The confidence of event planners coupled with an intense focus on building a great product, creating a great customer experience, and instilling trust within each and every customer. In a marketplace that’s rife with vendors foisting surprise fees, cumbersome registration, poor UIs and third-party tracking on users, Tito provides a fast, beautiful, transparent & trusted, online ticket experience that’s fully hosted or embedded on a customer’s site in just a few lines of code. Tito’s features have already powered thousands of successful events worldwide. I chat with co-founder Paul Campbell who discusses how Tito has created a growth juggernaut in a marketplace where the headlines are dominated by large competitors including Eventbrite and Bizzabo. If you focus on building a great product that customers want to pay for, it can work out – well. If you respect your customer and do not “growth hack” them, they’ll naturally support you and champion you in the marketplace. Your customers’ customers’ email addresses are precious and need to be treated as such. Respect your customer’s wishes and never email market to their customers…and the market will come to you. We also talk about the reasons Tito is hosting, Admission, its first-ever user conference on Sept 24-25th in Chicago.